1. I took this photo last night when my roommate, B, and I were stopped for the slowest. train. ever. on the way home from dinner last night. I kinda love it. 2. If we’re friends on Facebook, you may have noticed that I posted a status about dreams not too long ago. Basically, I’m considering writing a post or two about dreams/hopes/plans for the future. I’ve never considered myself much of a dreamer, but lately, I find myself dreaming about and considering “big” things for the future a lot. And it’s a little uncomfortable. I suppose I’m hesitant to become what I consider a dreamer because I don’t want to leave the Lord out of my dreams for the future or not give Him room to move and re-direct in their midst. Something about naming a dream and putting a hope for the future into words makes it seem like a real thing, too. As in, if it’s truly a dream or desire I have, it might require action on my part, and it may not be easy. But maybe the Lord gives dreams … or at least works through them? Maybe there’s something to delighting yourself in Him and being given the desires of your heart (Psalm 37:4)? Maybe the closer we move towards Him, the more our hearts align with His, and the dreams of our hearts reflect His heart? I don’t know. I don’t have a schedule for this yet. And I’m sure I won’t get it right. But I’m interested in talking about it and exploring it if you’re willing to come along for the ride. 3. Remember that baby dedication I mentioned in last month’s “5 Things” post? Well, my friend (and favorite photographer. no lie. except for these boys. they still top my list.) let me use her good camera (uh, I was a little nervous, but it was super fun!) to take a few shots of the event, and ended up using a few in this post of my favorite 9 month old (I promise she’s incredibly cute!!). Check it out. And take a few minutes to look at some other photos while you’re over at her blog. Beautiful, right?! If so, see the sidebar to the right, type in your email address, and click the ‘Yes, please!’ button. If I make it over 100, I could even be convinced to have another giveaway to honor the occasion. And just for the record, I so appreciate each and every one of you! Whether you subscribe or not. Whether you comment or not. I’m just grateful you read here and pray you walk away encouraged and filled with truth. So there. This entry was posted in Life and tagged 5 things, blog, blogging, delight in the Lord, dreams, friends, future, God's faithfulness, God's wonders, hopes, photography, plans, roommate on April 26, 2013 by Emily Gallimore. Some days, the what-ifs and I-don’t-knows of this feel overwhelming. Even a little dark. Like swimming through murky waters just below the surface. I can’t quite see my way out. Questions of the alternatives hang in the balance. But maybe I’m supposed to sit with the tension, the conflict, the trial, a little longer. Each day realizing even more that this is out of my hands. It was never really in them anyways. The facade of control crumbles. The attempt to manage and maintain fails. But the message from Sunday’s sermon on James 1 rings loud and clear. The trustworthy Words of the Lord are light in this darkness. Trust Me. Be Steadfast. Rest. Find Joy. Not in your ability, but in Mine. And I find myself desperately asking for wisdom (my word for this year). Because I just can’t do this on my own. I can’t even fix my gaze on Him without His power, His strength, His presence drawing me in, drawing me near, drawing me deep. The burden to figure-out this life is not mine to bear. There’s really very little to figure-out. He’s already done that. He’s already planned, battled, and won. The unknown is frightening and fear’s grip can be great, but the victory is secure, and the Victor’s grip is greater. This entry was posted in Devo Thoughts and tagged fear, james, Joy, plans, rest, trial, trust, unknown, victory, wisdom on January 8, 2013 by Emily Gallimore. 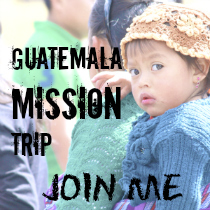 A couple of weeks after I wrote in my journal about trusting anyways … through the frustration and the discouragement … I received an email from my placement coordinator that would ultimately be the beginning of the end of this whole application process with the missions organization. After just submitting several completed medical forms, but still unsure of how my information/application was being evaluated on the other side, I contacted the coordinator about the prospect of placement. She still hadn’t sent me any opportunities to consider (which we had previously discussed), and I was curious (and perhaps a bit impatient…). I was not prepared, however, for her response suggesting that I consider changing the “face” of my ministry from what I had initially expressed interest in and what I had been communicating with the organization about for months at this point. She closed her email by suggesting that I think and pray about it. When I finished reading the email, I felt like the wind had been knocked out me. I literally had to stop and catch my breath. This entry was posted in 31 Days (October 2012) and tagged 31 days (confidence), missions, plans, quiet confidence, trust on October 23, 2012 by Emily Gallimore. Feeling unsettled in the aftermath of the interview, I’m having one of those days where it feels like my thoughts are playing ping-pong from all the if-this-then-this but if-this-then-that planning going back and forth in my mind that just will. not. stop. I’m fairly certain I could whip up an impressive multi-column, color-coded masterpiece of a spreadsheet to map out these hypothetical plans if I was so inclined. But I’m not. Yet. And the only place in the plans that brings any peace is complete surrender to HIM. My spreadsheets have nothing on the artistry of His Master Plan anyways. So I force myself into quiet. Even though I don’t feel quiet, even though I don’t feel peace, I start to pray. And as the words come out of my mouth, somewhat forced at first before beginning to flow more freely from my heart, as I recall Scripture, as I recall His goodness and faithfulness. It may not all be perfect, it may not all make sense. But I can know rest. Because I know Him. And I can release the details of the spreadsheet to Him. Because He never really asked for my help with the plan to begin with. He just said to follow. 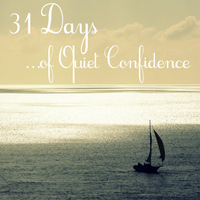 This entry was posted in 31 Days (October 2012) and tagged 31 days (confidence), peace, plans, quiet confidence, rest, trust on October 18, 2012 by Emily Gallimore. I thought I wanted a dramatic “can’t miss it, this is the rest of your life in ministry, exactly what you should do and how/where you should do it” sort of call to action from the Lord. I thought I wanted Him to set me on the path and send me on my way. But that’s not how it’s happening (at least this time). That’s not how God is working (at least for now). It’s different than what I expected, yet in many ways, this is so much better. And even as I continue to adjust and readjust and let go of expectations, I still choose to follow Him. Yes, it’s sometimes uncomfortable and often unknown. But it’s trust. it’s relationship. it’s faith practically expressed. it’s moment by moment. it’s everyday. 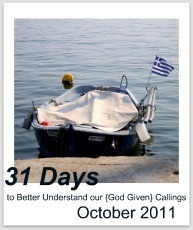 This entry was posted in 31 Days (October 2012) and tagged 31 days (confidence), faith, God's calling, plans, quiet confidence, relationship, trust on October 9, 2012 by Emily Gallimore.